Call me neophobic, old fashion or whatever but I'm still not feeling the whole mesh head thingy. You can get the DEMO for Saoirse in the marketplace for your convenience. 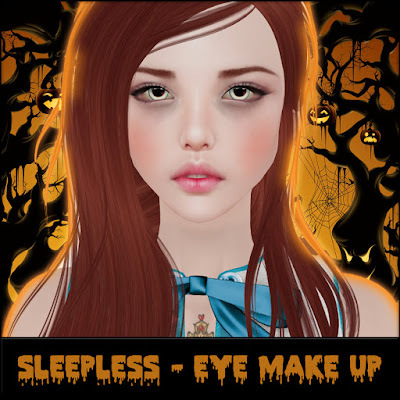 Halloween Group Gift: .- Sleepless _ Eye Make-up -. Click here for the Before and After comparison. You get three different Eye Tattoos with varying degrees of sleeplessness! They are all copy and mod which means you can colour them to make them even darker or funky colours. 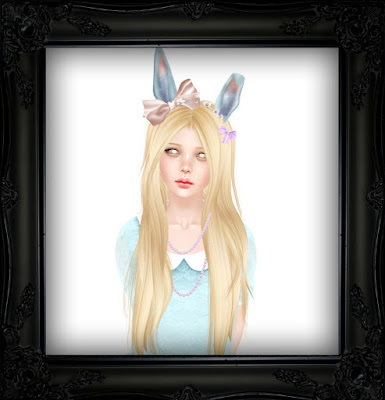 And here for my Landmark.